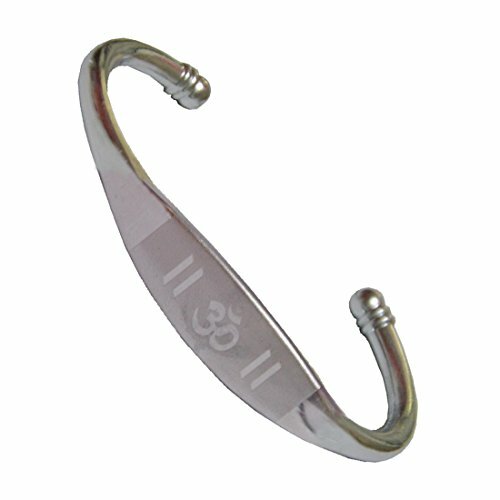 The Kada is a symbol of unbreakable attachment and commitment to God. This Kadaas is made from PURE Copper. This product is very strong and durable and comes with a casing, made specially for this kadaa. This kadaa is APROXIMATLY 1/2 or 0.5 cms thick. 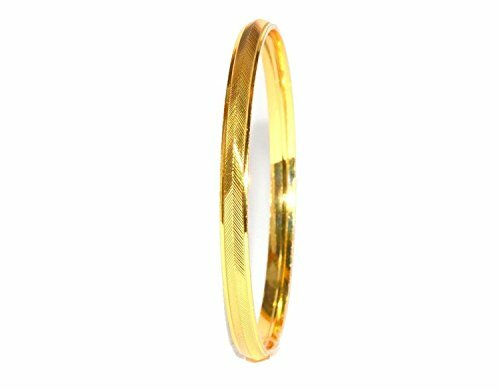 This Kadaa is available in varying sizes, ranging from 6.8 to 7.5 cms (Internal diameter). 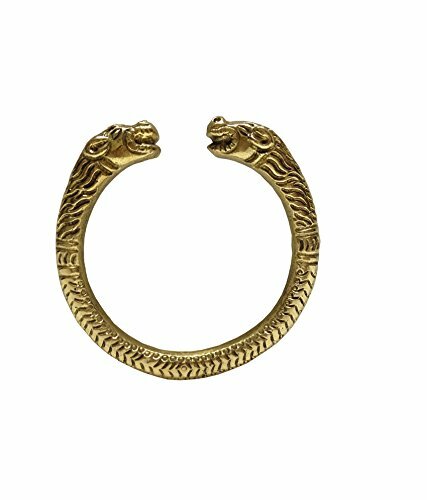 Symbolizes strength, power and compassion. 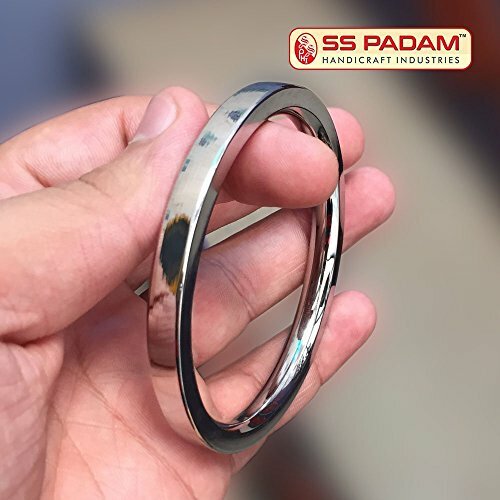 This heavy Kadaa is made from high quality Stainless Steel. 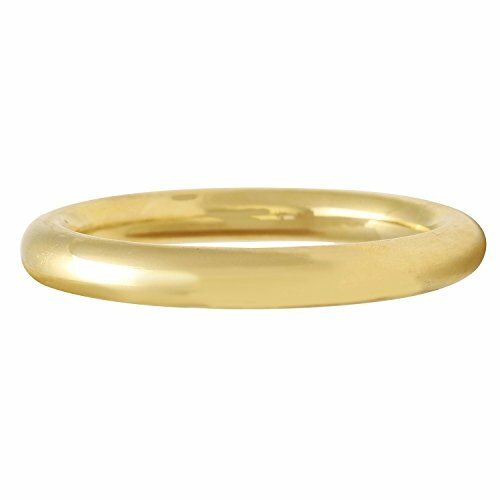 It consists of a beautiful Brass ring in the centre. This kadaa is 1 cm thick. 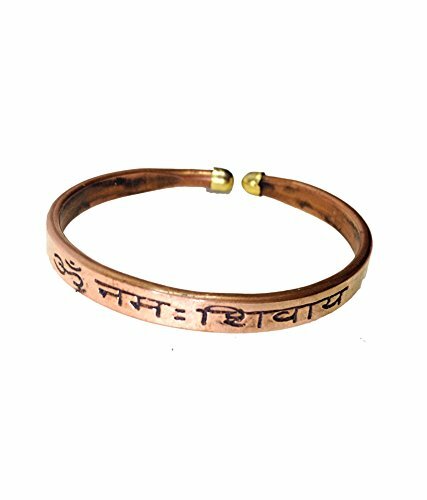 This Kadaa is available in varying sizes, ranging from 6.5 to 7.5 cms (Internal diameter). To Measure size; put a scale on your palm and measure size where all fingers are attached to gather in cm. This kadaa is 1/2 or 0.5 cms thick. 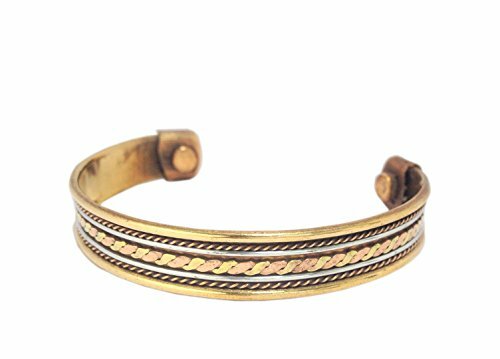 Be it a formal or casual occasion, adorn your wrist and make a style statement by wearing this Kada. 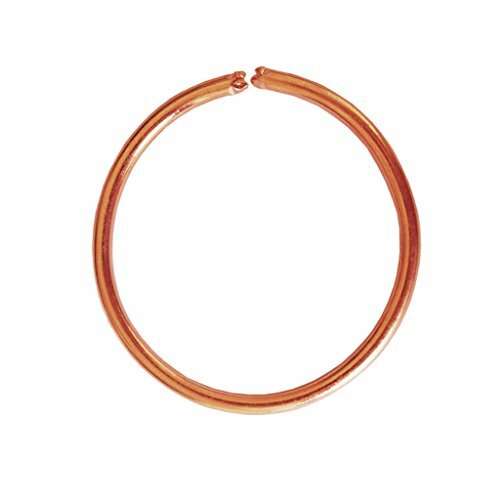 They feature a simple and elegant design and could be a great go-to piece when you need just an artsy piece of jewellery to complete your look. CAUTION: This Product is under JEWBANG brand ...the pic is ORIGINAL FROM JEWBANG Store...Choose Seller "JEWBANG" Only to get the Original Product, For any issues we are Just a Call away to help/support... DON'T BUY form OTHER SELLERS to Avoid LOW QUALITY CHEAPER PRODUCTS. 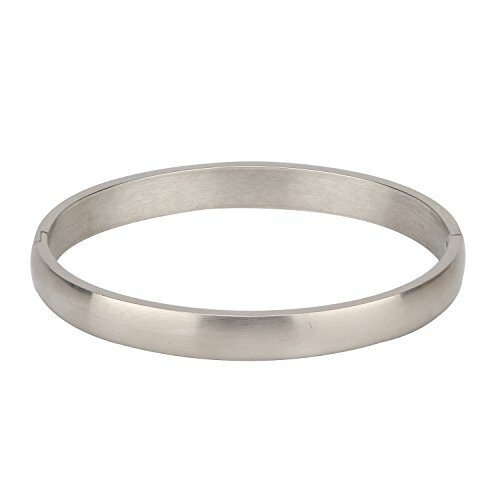 Check on the Right side Bottom of this page to select JEWBANG Seller. 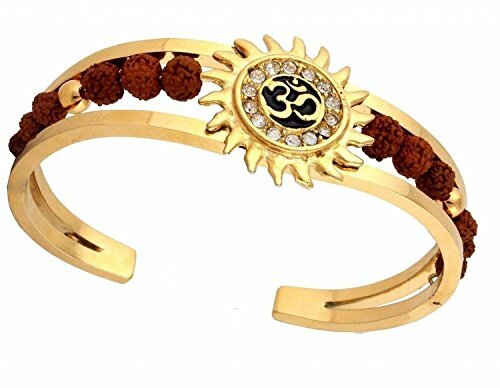 Bracelet coated with full gold plating made of alloy 24 karat gold shining looking bracelet. 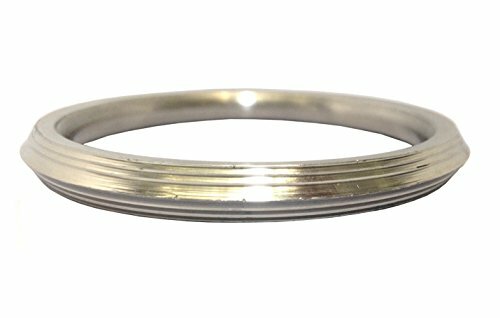 This Heavy Kadaa/Bracelet Is Made From High Quality Stainless Steel And Brass Ring. Measure Size As Per Photo In Listing. 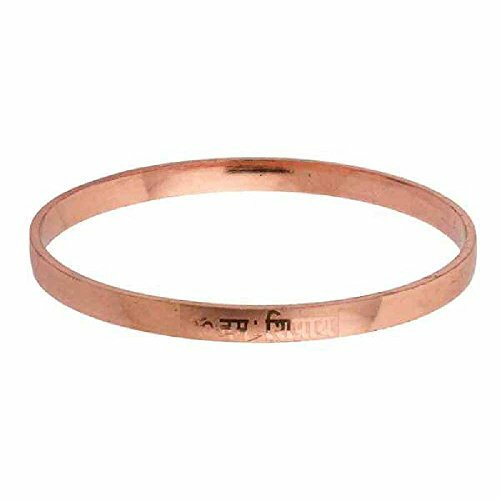 This Kadaa Is Available In Varying Sizes, Ranging From 6.8 To 7.2 Cms (Internal Diameter). Size: 6Mm To 7Mm Thickness. Wt: 77Gms Approx. Style: Tubular From, With Arrow Heads. 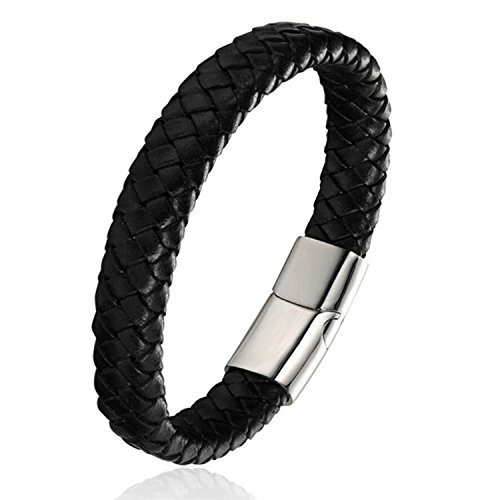 Finish: Smooth Inside Finish For Comofort Wear..
Openable/ Adjustable/ Expandable To Fit Any Wrist Size. 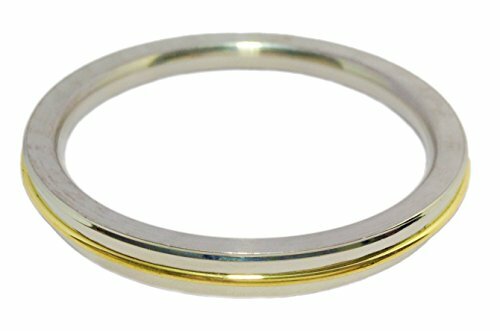 Fits To 2.10 To 2.14 Sizes. Quality of the product and customer satisfaction is 100% guaranteed. Search '' discount4product '' in Amazon in all department, to get more variety of product from my store. Copper and magnetic metal is age old metal, used to store water, cook food and numerous home uses, due to its benficial properties. 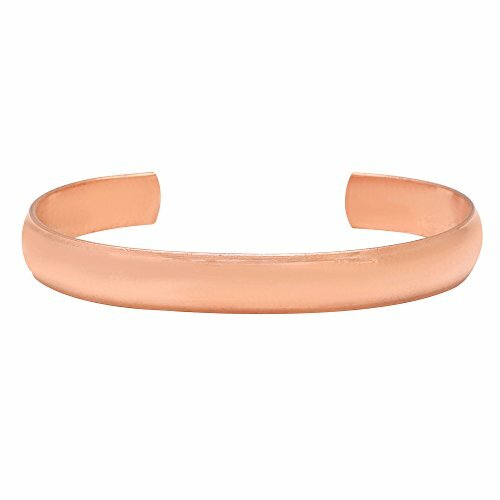 The healing properties of copper, in the form of bracelets, Kada, rings, etc, can allow a minimal amount of the mineral into the body resulting in constant and direct benifit to body. 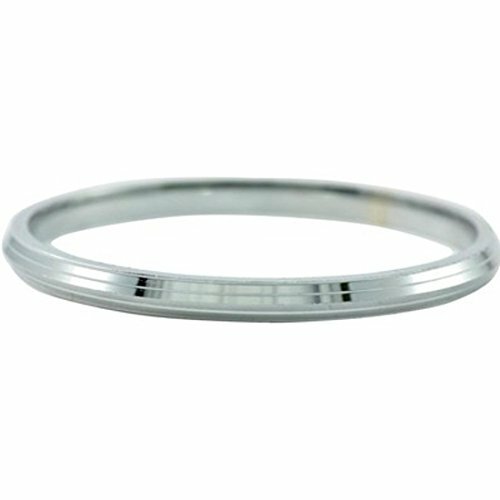 Trendy ARISIDH genuine 92.5 Pure sterling silver black rubber bracelet kada for men, women, boys and girls. 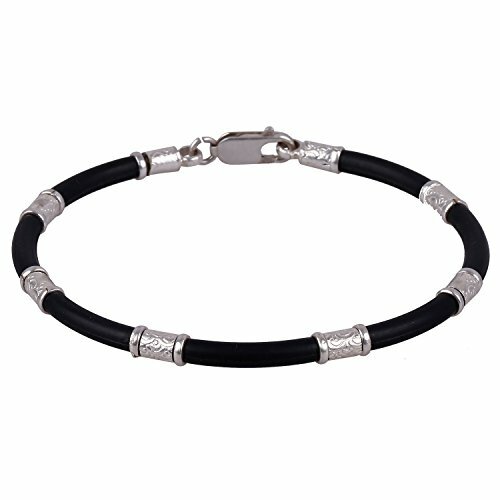 MATERIAL : Kada is of 92.5 Original Pure Sterling Silver with Black Rubber which have a Long lasting sparkle. 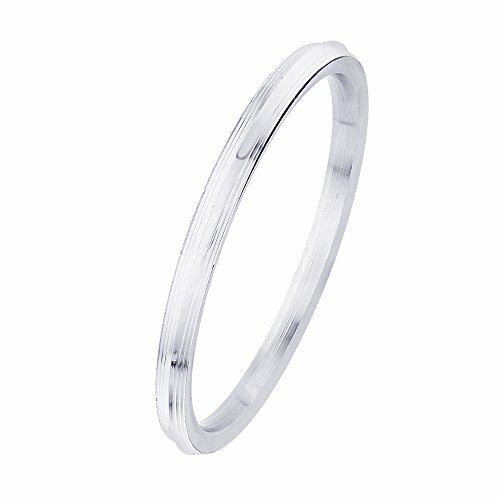 QUALITY: High quality of Silver with NICKEL free, LEAD free alloy which is NON- allergic to all Skin Types. The Jewellery is E-coated hence Chances of getting Black is MINIMAL. DESIGN: As the Latest Exclusive Design as per the Trend which is casted to Perfection. AUTHENTICITY: Product Comes with a 925 seal which serves as a Proof of Identity. OCCASION & GIFT: Suits to wear in any occasion like Daily, Party , Wedding and Festival. A Perfect Gift for Your Valentine-Boyfriend, Girlfriend and Beloved One's- Husband, Wife, Sister , Brother. Excellent Gift for Birthday, Anniversary and Festivals celebrations. This Kadaa is made from Panch Dhatu. copper, brass, aluminium, iron , zinc. its made by handwork. Quality of the product and customer satisfaction is 100% guaranteed. Search '' discount4product '' in Amazon in all department, to get more variety of product from my store. 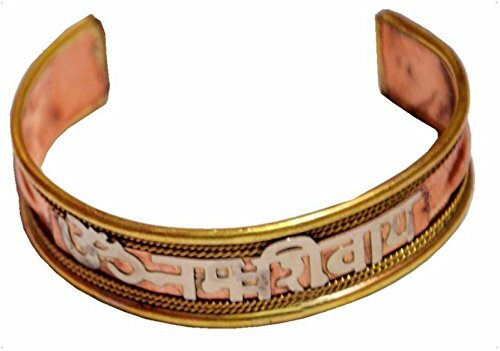 This Kadaa is made from metal with golden color with word on it. (OM NAMAH SHIVAY). Quality of the product and customer satisfaction is 100% guaranteed. Search '' Chandrika Pearls '' in Amazon in all department, to get more variety of product from my store. 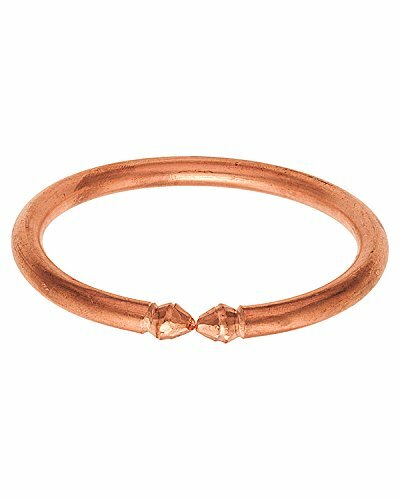 Copper is age old metal, used to store water, cook food and numerous home uses, due to its benficial properties. Clean the jewellery with soft cotton cloth to remove dirt or dried sweat. Keep them in air-tight zipper pouch. Product color may vary slightly due to photographic lighting sources or your monitor settings. 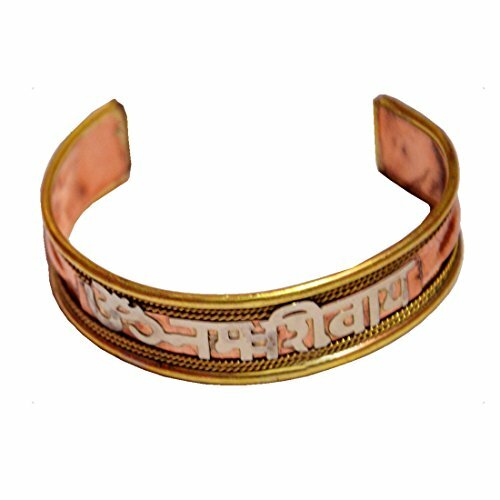 This Kadaa is made from Ashtdhaatu with Pure Copper Base metal and fitted with Brass caps at end, for maximum health benifits. Made from high quality anti-allergy Copper with other health benificial 7 metal Alloys, which justifies name "Asht-dhatu".. Adjustable size. Good for Men and Women, specially for senior citizens and netizens. Its light weight, attractive looking, reasonably broad at 17MM, and an ideal sef wear and a very thoughtful and caring giftng option specially ailing with these problem. Search "Memoir from Sambhav Crafts" on AMAZON.IN, in ALL DEPARTMENT, to get a rich and latest variety of Jewellery and Products from our store. Genuine, 100% pure and hypo-allergenic, SikhKaras are worn as a reminder to keep your consciousness with God and to always carry out righteous and true deeds. 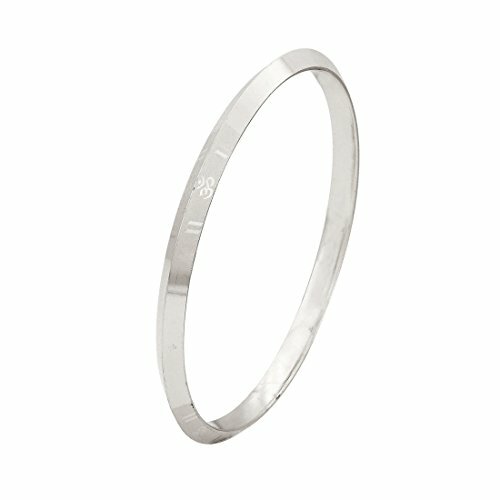 Letstrendy Silver OM Kada for Men's & Boys with Silver polish. LT-KA-22. Stylish Kada Fo Men's Annd Boys. select discount4product seller for genuine and quality worth & ''DENT LESS''product. cheap quality product also available at low price with iron as a metal. 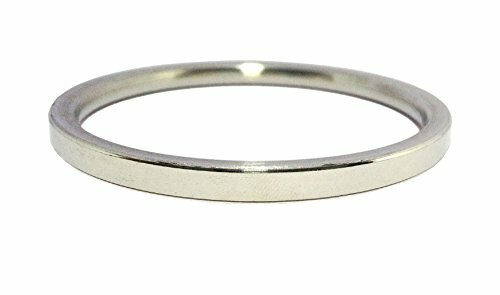 Size:aproximatly 0.75 cm thick. measure size as per photo in listing. 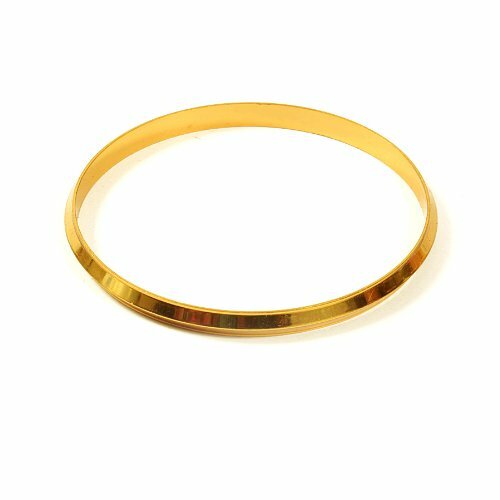 This Kadaa is available in varying sizes, ranging from 6.8 to 7.2 cms (Internal diameter). Search '' discount4product '' in Amazon in all department, to get more variety of product from my store. Available in Mens Size: 2.12, 2.14 & 2.16. Please mention your wrist size while ordering. Highly acclaimed product quality and 100% customer satisfaction guaranteed. Search '' Memoir from Sambhav Crafts '' in Amazon.in all department, to get rich and latest variety of Jewellery from our store. 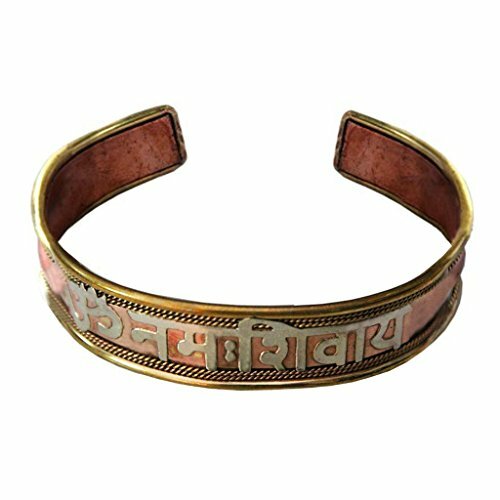 Antique oxidized finish with "Om Namah Shivaya" embossed.Either Side has a red stone to give the kada its festive look. Suits most wrist sizes, being open from 1 side. Strongly recommended to be kept away from Moisture, sprays, perfumes. Occasional wear product. 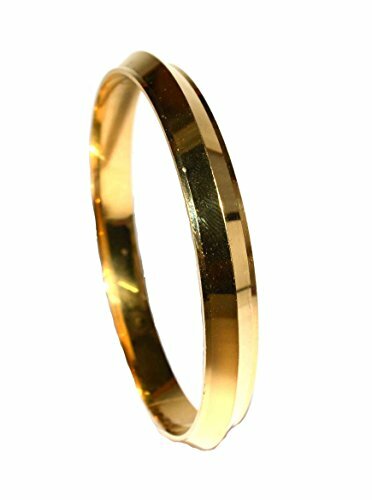 Search '' Memoir from Sambhav Crafts '' in Amazon in all department, to get rich and latest variety of Jewellery from our store. 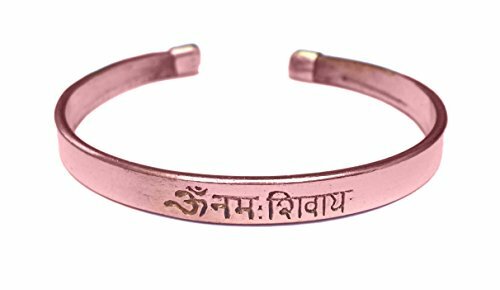 This Kadaa Is Made From Pure Copper. Available in Mens Size: 2.8, 2.10, 2.12 , 2.14 & 2.16. 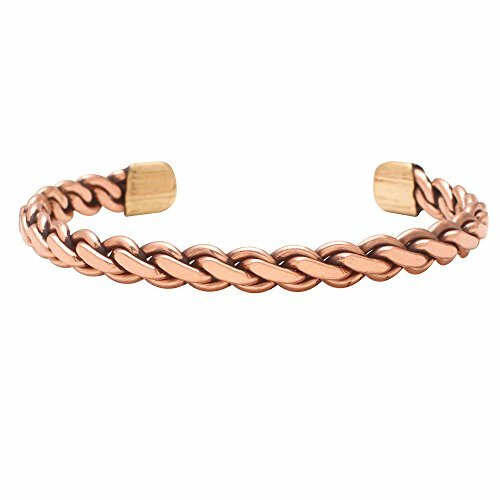 Please mention your wrist size while ordering. 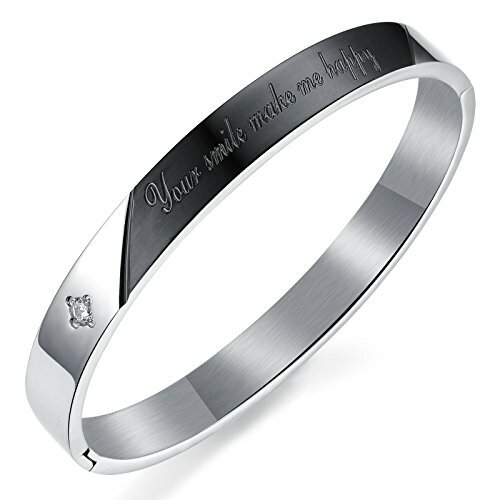 Finish: 20 microns of high quality Satin Matte Silver Colour Finish makes it look as Real Platinum Bracelet. Ideal Gift for your dear ones. Note: Quality products always have its own Value and Cheaper Copies can't command that. Physical piece looks even better than the photograph.
. Select Chandrika Pearls seller for genuine and quality worth & ''DENT LESS''product. cheap quality product also available at low price with iron as a metal.
. 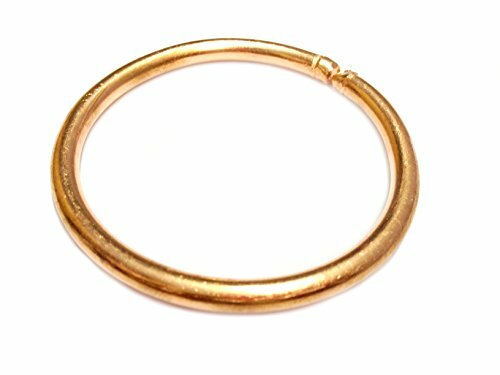 Size:aproximatly 0.5 cm thick.measure size as per photo in listing.
. Quality of the product and customer satisfaction is 100% guaranteed. This Kadaa is available in only one size 7.0 cms (Internal diameter). Search '' Chandrika Pearls '' in Amazon in all department, to get more variety of product from my store. 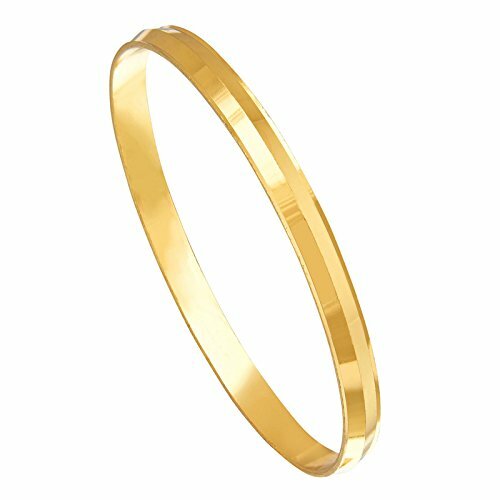 Length of the Half Kada is 61 CM (approx. 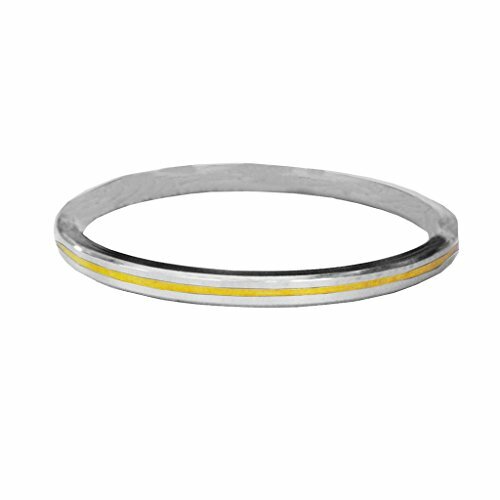 ), Diameter is 50 mm & width is 10 MM (approx.) and Weight is 20 GR (Approx). Rich & Famous is a pioneer brand in fashion jewelry sector. We value of our customer and customer satisfaction is our primary aim. We provide gorgeous, amazing and exquisite jewelry with affordable budget. Size: 2.8. 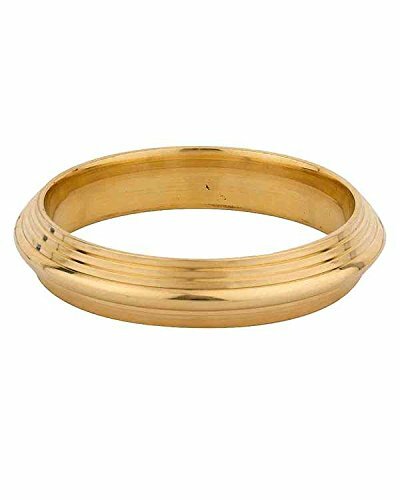 Make: Built With Highly Durable Brass.Adjustable Kada. Looks attractive and can be matched with a variety of men's apparels. 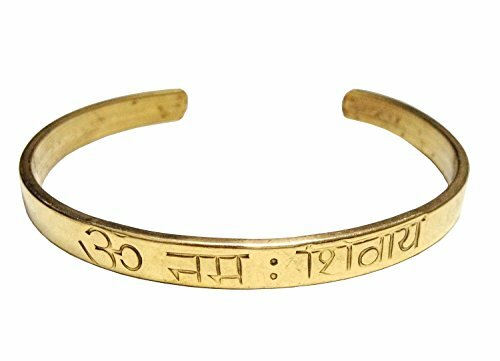 The kara originated as a protective ring to guard the sword arm of the Khalsa warriors during battle when fighting armed with swords. 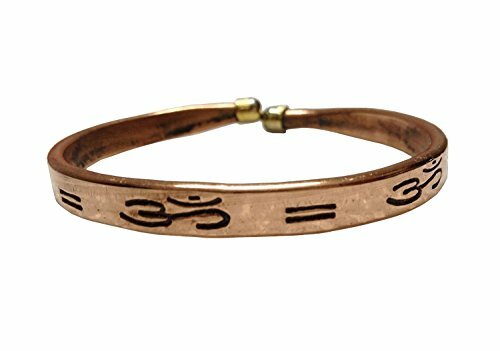 This Kadaa Is Made From Pure Copper And Magnet With Other Mix Metal. 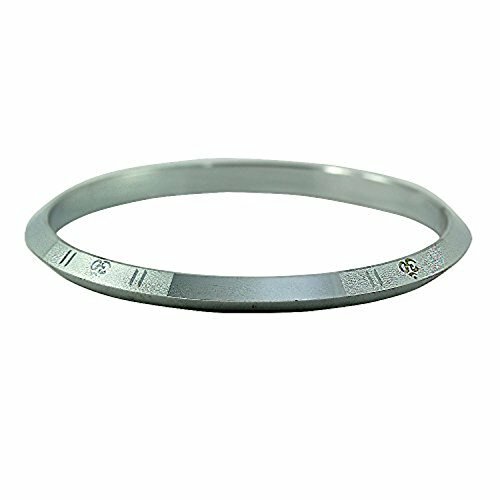 Search Magnetic Therapy In Internet For More Information. Make an admirable gift for your Father, Brother, Husband and Boyfriend. 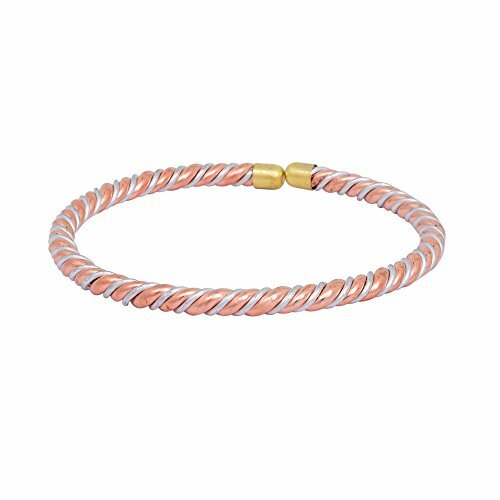 | Ideal For Party, Office & Daily Wear | Beautifully Designer Bracelet Can Be Used On Birthday, Marriage, Engagement, Any Occassion. Size: 2*12 . Make: Built With Highly Durable Stainless Steel, Look Antique. 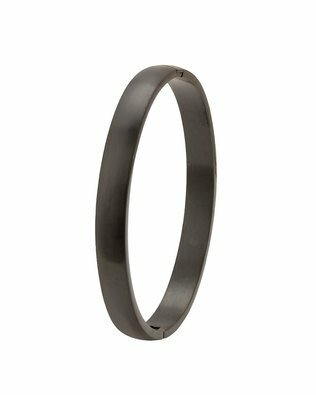 DC Jewels Titanium jewelry are made of the best titanium. 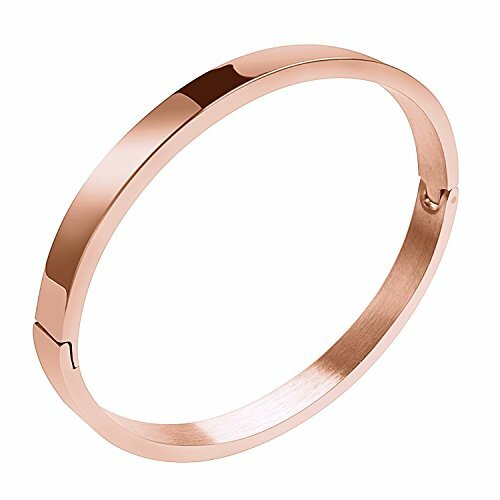 We attentively make every titanium jewelry, make sure they never change color or oxidation.FAKE "titanium jewelry" are made of very poor material.They will change color or oxidation very soon. 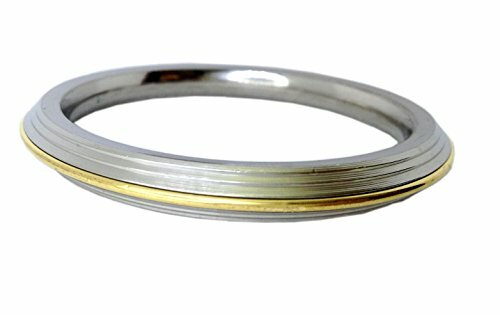 Titanium jewelry are plated with real gold,their surface are very smooth and never fade. 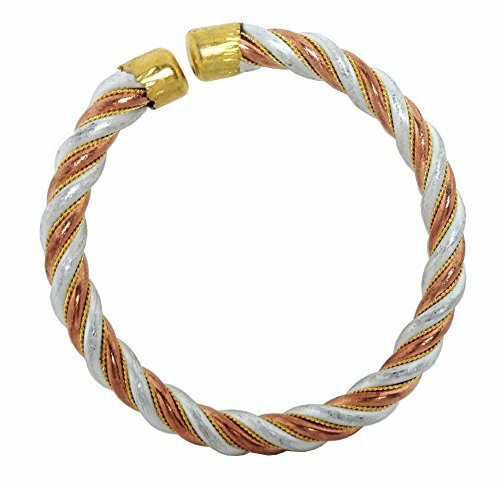 FAXE "titanium jewelry" are plated with imitate gold. Their surface are very coarse and very easy to fade. 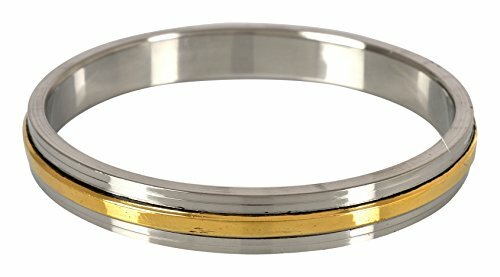 Why is this jewelry so special? 1.Artisan handcrafted jewelry. 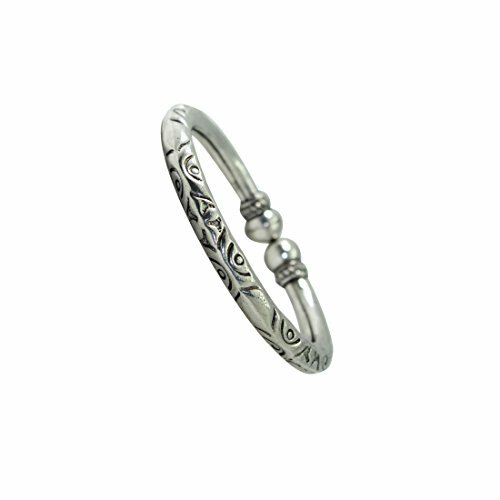 2.Gorgeous gemstones in unique sterling silver individually designed and painstakingly crafted. 3. Using jewelry making techniques that have been handed down for generations, our gifted artisans ensure that each gemstone's unique beauty is truly revealed. 4. Best prices and we guarantee that shopping with us is 100% secure and reliable. Items is smaller than what appears in photo. Photo enlarged to show detail. To keep this piece shining and scratch-free, avoid contact with chlorine and other harsh chemicals. 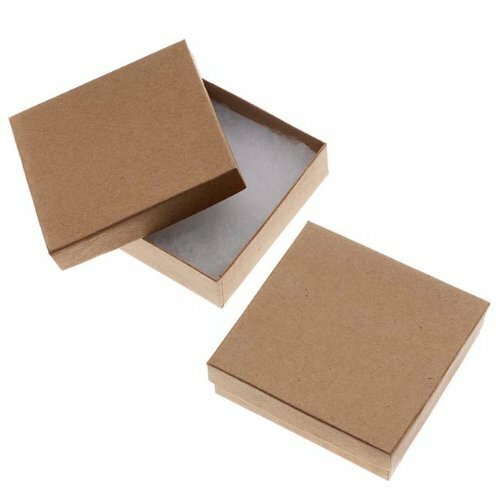 Do not wear jewelry during rough work and be sure to store it in a fabric-lined jewelry box or pouch. To clean this piece, use warm water, a mild soap, and a soft bristled brush, if needed.